We have recently expanded our showrooms to enable customers to browse the complete range of stock. 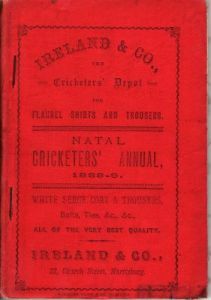 This includes a large collection of Wisden Cricketers' Almanack, rare and modern cricket books, photographs, postcards, autograph material, prints, commemorative plates, ceramics and cricket memorabilia of all kinds. We can only catalogue a small proportion of our stock so please take the opportunity to visit and browse - you are sure to find something a little different. The showroom is situated in the charming village of Stanford-in-the-Vale which nestles in the heart of the historic Vale of the White Horse in South Oxfordshire. Viewing is by appointment only and customers will be assured of a warm welcome, a steady supply of tea or coffee, plenty of cricket chat and the chance to find that missing item - or, more likely, something you never knew existed. To visit please call us on 01235 751021 or e-mail boundarybooks@btinternet.com. Stanford in the Vale is located in Oxfordshire, approximately 60 miles west of London. It is half way between Swindon and Oxford and lies on the A417 between Faringdon and Wantage. Boundary Books is located in Stanford Business Court which is on the High Street just next to the Village Store. The post code is SN7 8LH.